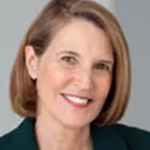 Ralph talks to literacy expert, Nancy Newman about how to raise passionate readers; and law professor, Alexandra Lahav tells us how a “litigious society” is actually vital to a functioning democracy. Nancy Newman is a teacher, a literacy consultant, and an author. After a career teaching remedial English in elementary school, high school and community college, she began offering workshops on the simple steps both parents and teachers can take to strengthen a child’s language skills and reinforce their enjoyment of books and learning. Ms. Newman’s upbeat presentations have inspired and empowered thousands of parents, teachers, learning specialists, librarians, and school administrators in a wide variety of settings. Her latest book is entitled, Raising Passionate Readers. 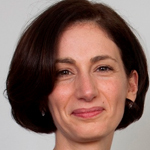 Alexandra Lahav is professor of law at the University of Connecticut, who teaches classes in civil procedure, complex litigation and tort reform. Her book defending the role of litigation in American democracy is called In Praise of Litigation. This was really an informative episode! About this time last year, I took the Cambridge TKT(Teacher Knowledge Test). Avid listener to your show, and love it. I’m a Bangladeshi, and I know exactly what you mean by “the way you control people is by controlling their expectation level. If you the control expectation level, where their demand is so low that they just live lives of pitiful desperation, that they don’t rise up”. Sad to hear about my country in such a context, but I know it’s true. I wish my politically hyper-aware fellow countrymen would see through the veneer of their leader(s).